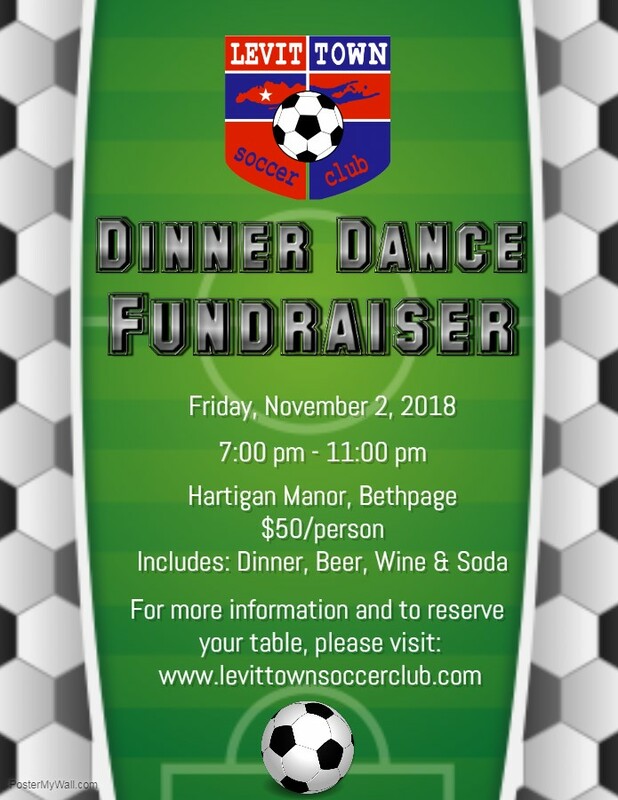 Levittown Soccer Club is pleased to invite you to attend this year’s dinner dance event! Join us for a fun evening filled with dinner, dancing, great raffles and fun with your LSC family celebrating our club members and volunteers. Tickets are $50 per person. Full tables of 10 and 12 are available for purchase. We expect this event to sell out so don’t wait to get your tickets. Secure your spot now. Attendees 21 years and older please.